Shopping for a new laptop is the 'BEST'! 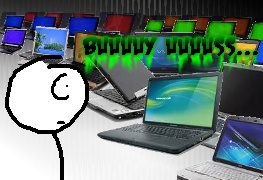 So yeah, I'm currently in the market for a new laptop, as my HP Compaq 6720s running XP isn't going to last me forever. (although I'd certainly try) But I'm having a sliiiiightly-difficult time narrowing down my choices.. and even finding choices I'm comfortable with. One thing I was not expecting at first, but is now high on my priorities, are these new kinds of keyboards, this... "island" keyboard design, as they say. I've had the chance to use them on other laptops, and I don't feel like it's the way I want to go. I've happened to passively learn to type without looking at the keyboard (do they call that touch-typing? ), so I'm trying to find something as similar as possible to my current layout so that I can retain mah 1337 h4x-, err, 7yP3R 5K1LL5. Avoid gloss as much as possible. Money's not the biggest deal yet, but if it's under $2000, that'd be great! It's not really important, but I've been curious about doing digital drawing on tablets, so maybe if that sort of thing is possible..